Mother’s Day is next week! And, since I discussed all my mushy gushy feelings for mom in the Mother’s Day Printable Coupons post, I’ll cut to the chase on this one. I wanted to do something a little more sophisticated for my mom and for my grandma. Thinking of Mother’s Day and all the my family owes to the women in our circle is what sparked the idea for this Family Tree Art. 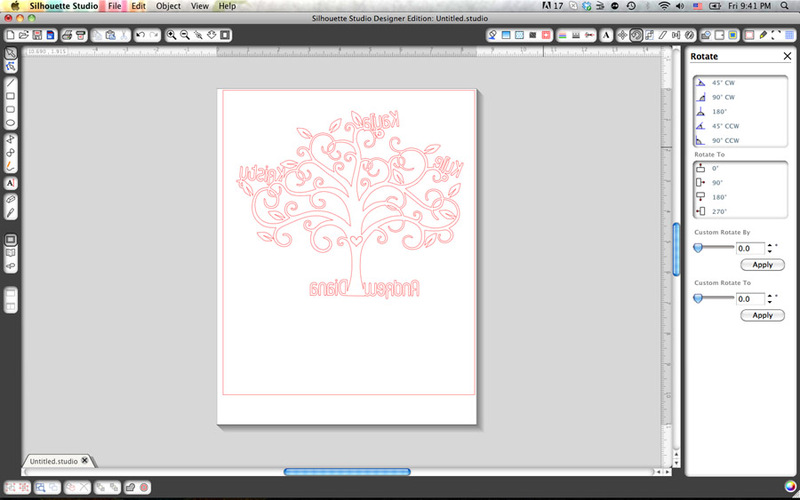 Firstly, family trees are so neat! 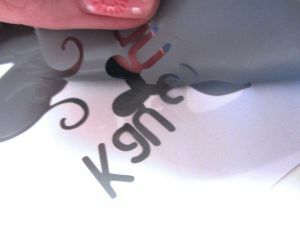 Secondly, I’ve had this roll of silver vinyl for my silhouette laying around that I haven’t had the chance to use yet. Luckily with silhouette vinyl the sticky side is identical to the non-sticky. Thus this project was born! 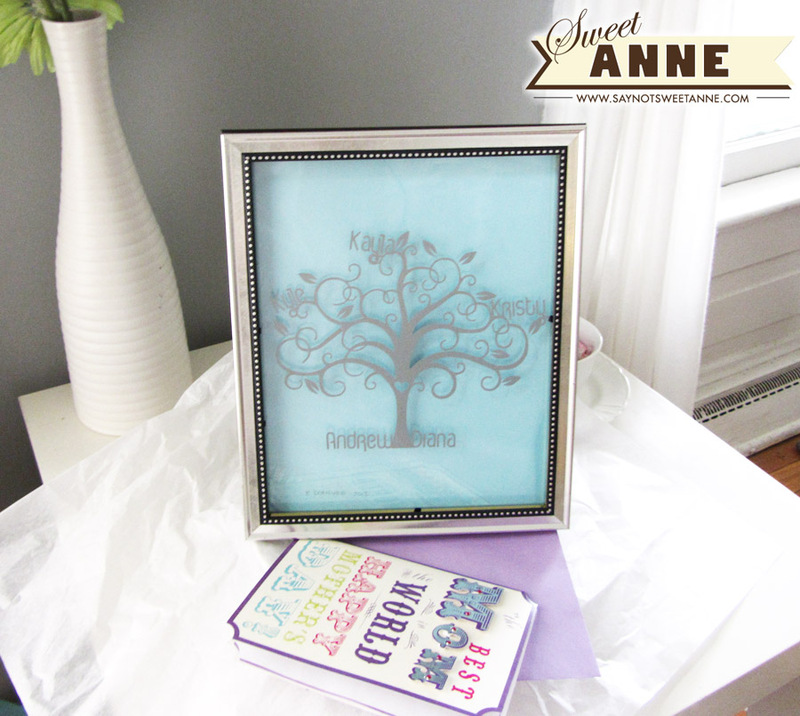 2 dollar store frames, the vinyl and a sheet of scrapbook paper- a gift mom will love. 2 SAME SIZE frames. 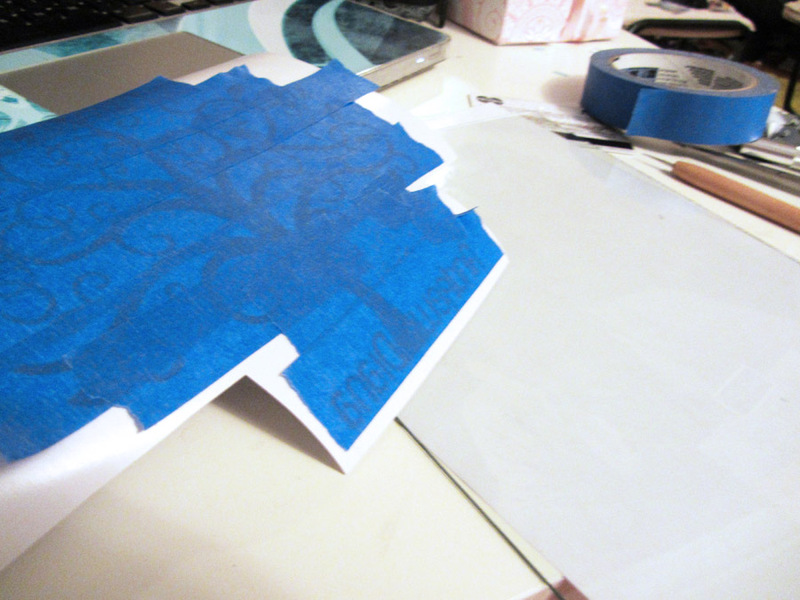 Make sure one is flat on top (you will glue it to the back of the other to make a shadow box.) Or a shadowbox frame. Multi-surface glue. I used e-6000. Silhouette or other cutting machine. Vinyl to use in your machine. A colored scrapbook paper of your choice. 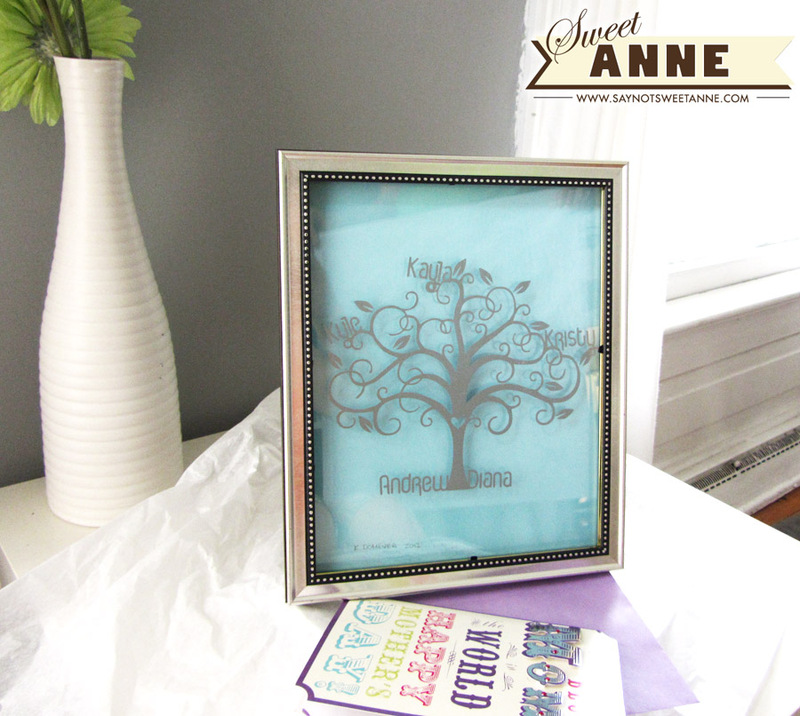 In your favorite cutting-machine graphics program, add your family names to a family tree art graphic. 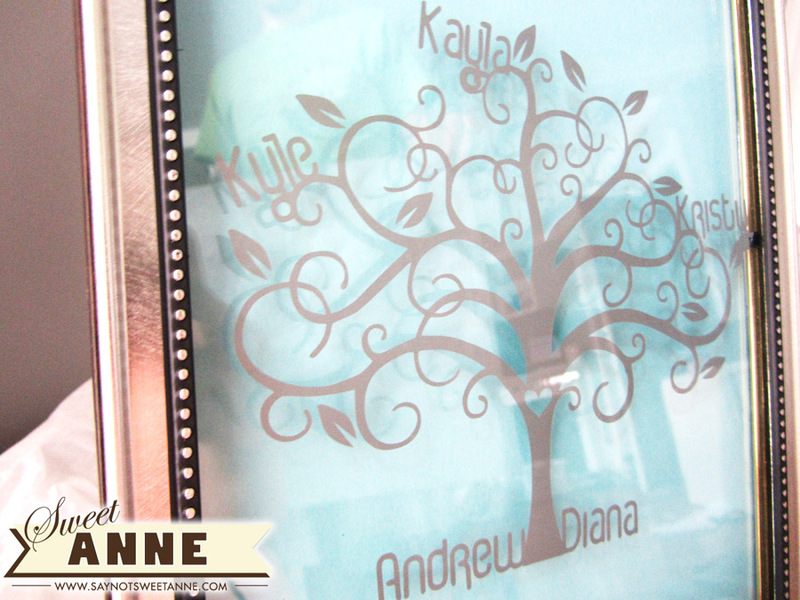 I bought mine from the Silhouette online store and used my parent’s names as grass at the base of the tree, and my sibling’s and my name on the branches. The tallest branch is mine because I’m the oldest and so on. Reverse your image in the program. We want the vinyl on the inside of the glass for longevity’s sake. Cut out your vinyl. “Weed” out the parts of the vinyl that are not part of the image. Be careful in the tiny swirly parts, they tend to want to come up with the non-image areas. 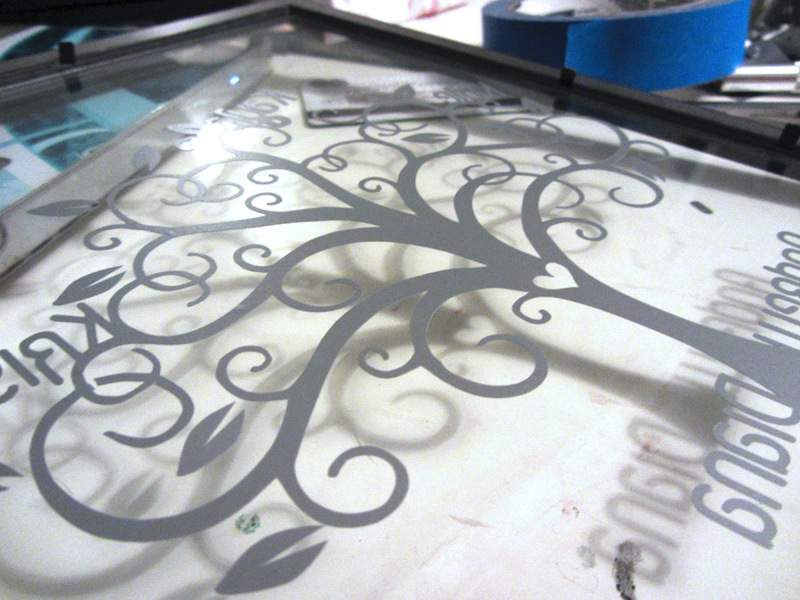 Using your Vinyl Transfer paper, or painter’s tape, tape over the entire image. This will allow you to transfer it to the glass. Make sure that your glass is removed from its frame and CLEAN at this junction. You don’t want to try and get streaks/fingerprints off once the vinyl is down. Center the vinyl on the glass and rub the vinyl through the tape on the the glass. The better job you do of this, the easier your next task will be. Remove the painter’s tape. With any luck, the image will stick to the glass and not come up with the tape. Again, watch for small bits. You’re almost done! Put the glass in the “front” frame (not the flat one) – but do not put the cardboard backing on. Instead, use the frame’s tabs to hold just the glass in place. 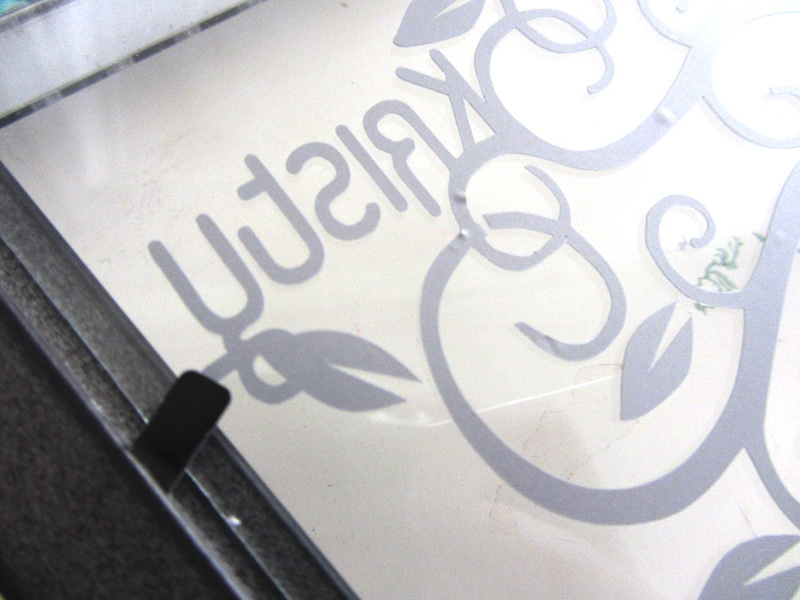 Make sure the vinyl is on the iside of the glass and your image reads correctly from the outside of the glass. If it doesn’t, start again at step 2. Now, cut your paper to fit the second (flat) frame. Make sure the glass for the second frame is CLEAN because you won’t be able to get to it after the next step. Put the paper in that frame and replace the cardboard backing. 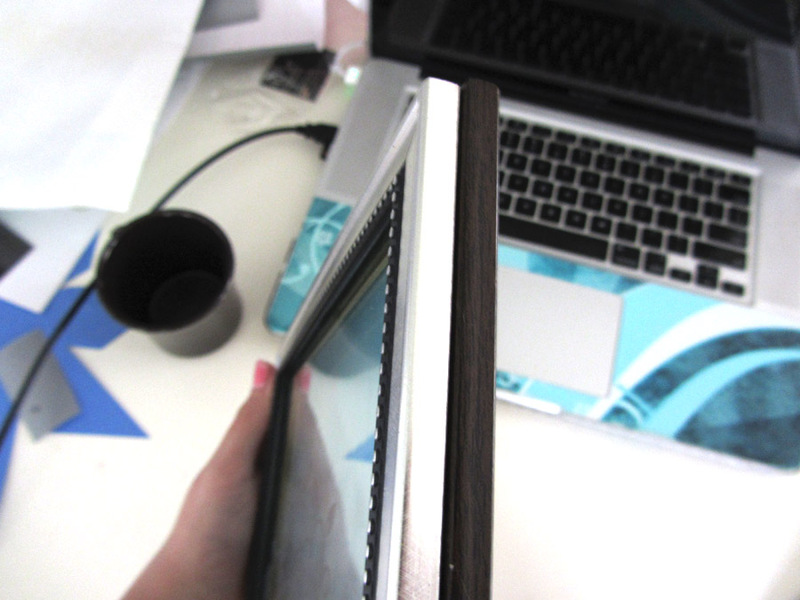 Using your glue, glue the flat-sided frame (the one with the paper in it) to the fancy front frame (the one with the vinyl glass and NO back). Voila! Instant-ish shadow-box! Mom can still access the colored paper if she needs to switch it out to match her decor, but the vinyl is safely trapped between 2 panes of glass adding dimension and protection! This family tree is really lovely. The frame you choosed is also very pretty! 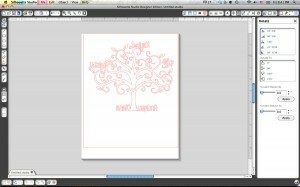 This is such a great idea for a family tree! Just beautiful. 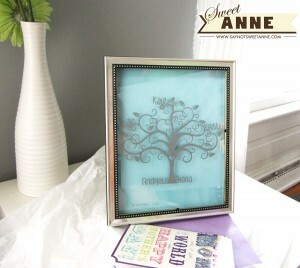 I love the idea of making your own shadow box plus the vinyl insert! So pretty and perfect for mother’s day. I love the swirly tree. Thanks for sharing at Terrific Tuesdays. I featured this on Sugar Bee Crafts today. STop by and check it out! This is a fantastic tutorial! I am putting this on my list of summer projects to make. You’ve been featured over at my place today!